It was an explosion, like the burst of machine gun bullets or a gas line gone bad. Whatever the sound, it wasn’t one I wanted to wake to while sleeping in a casita that sits on the southern shore of the Lacantún River in a thick jungle within walking distance of Guatemala. In daylight hours my conscious brain knows that the southern border of Mexico is far less dangerous than the northern border. I also know that Chiapas recently received a United Nations award for being the safest state in the country and that, of the 22.5 million tourists who visit Mexico every year, very few are harmed. But late-night fright had set in and I couldn’t exactly cozy up to a few statistics. The bang was loud, but apparently not loud enough to wake anyone else in camp. After staring into the white bunting of my mosquito net for about an hour, I let the rush of the swollen Lacantún River lull me back to sleep. At breakfast the next morning my guide, Antonio del Rosal, shed light on the mystery crash. 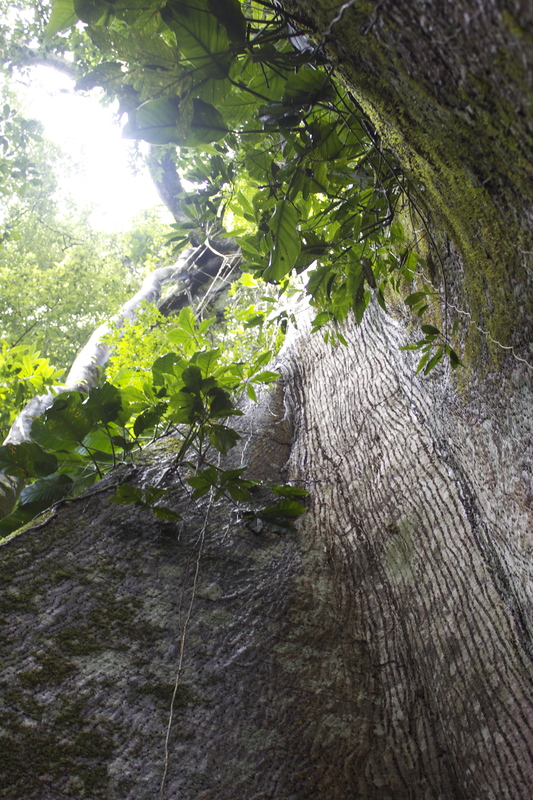 There had been so much rain over the past few days, he told me, that a waterlogged tree fell over—a logical explanation in a jungle known for its towering Ceiba trees, some of which are more than 500 years old. I was relieved, but I also felt a little stupid. I was in Mexico to attend the ATTA World Summit, an annual conference that brings together more than 600 tour operators, outfitters, tourism officials, and journalists from more than 50 countries. One reason the summit was in Chiapas this year was to spread the word to world travelers that the vast majority of Mexico is far less dangerous than the international press makes it out to be. Even President Felipe Calderon dropped in to deliver that message. Based on my ten or so visits to Mexico over the past 20 years, I agree with President Calderon. I love Mexico–especially Chiapas, with its evergreen forests, colonial cities, rolling green mountains, surreal celebrations, and Mayan ruins. Ha. Unfortunately, that’s just my poor photography skills! We can chalk this one off to an anomaly; the rest of the photos are great. I didn’t comment on them in the original post, but the ones from Devil’s Kitchen were really cool.